La Rosa Spanish Dance Theatre brings you "En el Tablao Flamenco" in the upcoming season at the Artscape Theatre in Cape Town. Swirling skirts, castanets and a passionate display of Flamenco dancing, rhythms and sounds is what audiences can look forward to. This dynamic dance production is choreographed by El Truco from Madrid and directed by Carolyn Holden und explores the dynamics of nighlife in Spain in the early 1940s. Acclaimed choreographer Carolyn Holden, well known for her creative flair, bold concepts and fresh approach features the cream of Flamenco dancers in this well presented show. How much? Tickets cost from R120. Who is La Rosa Spanish Dance Theatre? La Rosa, under the artistic direction of Carolyn Holden, was established in February 1990 in order to provide a platform for local dancers to gain regular opportunities to perform in a professional environment. Presenting productions on a two-yearly basis initially, the company now performs at least two seasons annually, also participating in Arts Festivals across the country and choreographic platforms. Holden has been amongst the nominees for Best Choreographer of a Contemporary Piece at the FNB Vita's Dance Umbrella in 1995, 1997, 1998 and she won the award for Best Choreography for the 1999/2000 year for "Flamenco en curso". 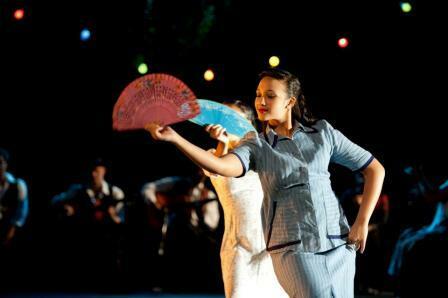 La Rosa 's three year Vocational Training Programme focuses on the tuition of flamenco, with the additional benefit of exposure to a number of dance and theatre disciplines. It includes exposure to various aspects of arts administration, equipping graduates with the tools to become professional arts practitioners. This Cape Town Dance School has also been involved in development initiatives since 1997 focusing on making flamenco dance accessible to the youth, developing the artistic and technical skills of potential professionals as well as audiences across the broader socio-economic spectrum. This new season marks La Rosa's third season since moving into their premises in Buchanan Square in Woodstock last year. Their premises are complete with three studios, administrative offices and a Resource Centre. 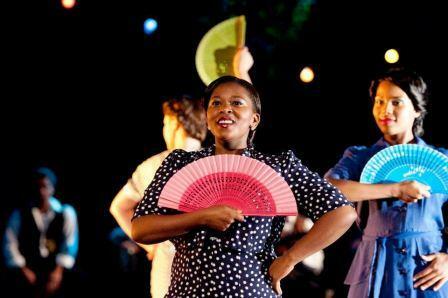 La Rosa Spanish Dance Theatre is supported by the National Lotteries Distribution Trust Fund, the National Arts Council, the Western Cape Department of Cultural Affairs and Sports, the Grandwest Cape Cultural and Heritage Trust, the Cape Tercentenary Foundation, the Nussbaum Foundation, and the Schock Foundation.